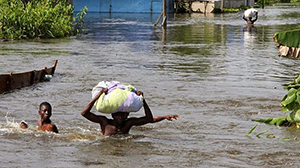 I am sharing an urgent prayer request and need with you for the people in Mozambique. Just a few days ago, a powerful cyclone destroyed a YWAM orphanage as well as two YWAM bases. All the buildings are gone. Even though these orphans and staff are in shock, we are thankful they are alive! 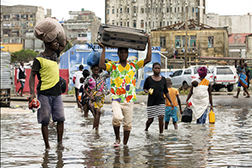 They are now a part of the estimated 400,000 population in Mozambique who are now homeless. This nation was already struggling and now feels choked. MercyWorks is committed to helping provide for these orphans as well as they YWAM staff who have also lost everything. Our first priority is helping them find a safe place to live for now and helping them find food. It is likely we will have to fly food in due to the enormous shortage they are now facing. We have partners assessing this as I write. Secondly, we want to help rebuild the orphanage. It is too early to estimate how much that will cost but I will inform you as soon as I have more details. We also want to help others in this already struggling nation, find help, hope and healing. Over 700 people in the affected area are confirmed dead. Our partners at Mercy Air are assisting in rescue and survey efforts. It’s unclear how long the rebuilding and restoration process will take. For now, the roads are flooded making transportation nearly impossible. MercyWorks is committed to getting help to people who suffer at the hands of natural disasters. More rains are expected in the near future as people try desperately to get to higher ground. 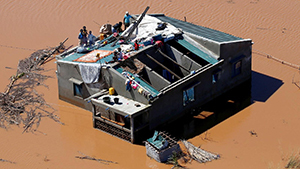 MercyWorks has set up a special fund to help the people of Mozambique with food, medicine and other essentials. Of course, we ask for your prayers as well! Thank you for opening your heart and for standing with our brothers and sisters in Mozambique who have lost everything. Please pray!